As quoted by saharareporters.com, the original book was copyrighted in 2018. The writers of the fake book must have seen into the future, though, as the copyright on it reads 2015. If you didn’t attend the launch, where only the original versions could only have been on display, there’s a chance you’re reading the wrong book. if you’re reading an online version, that chance is even higher! What, then, do you need to look out for, to be sure you’re not wasting away your precious time on a fake book? The original version is a 194-page book; the fake version contains 254 pages and is a PDF document of 4MB in size. While the original version has 15, the fake has 12. The original book was copyrighted in 2018. The writers of the fake book must have seen into the future, though, as the copyright on it reads 2015. 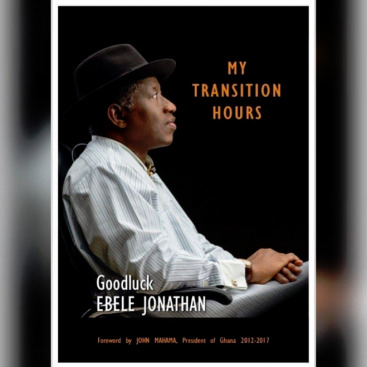 In the original version, the book proper begins with a chapter titled ‘Reflections’, with an opening sentence that reads: “The circumstances of my family background, birth and childhood would not have led anyone to believe that I would ever assume office as President of Nigeria”. Jonathan’s book is controversial enough. There are already question marks in places of power over the truthfulness of his narration of the final minutes before he called President Muhammadu Buhari to concede the 2015 election, while Kashim Shettima, Governor of Borno State, has already punctured his account of the post-Chibok abduction politics.